Jan Fisher is a native of Seattle, Washington. She started her gaming career in 1977 as a poker dealer in Las Vegas. After gaining experience in numerous Vegas cardrooms, Jan moved on to poker event management and began playing professionally. Her popular forum / blog site “Poker Tournaments Today” is located at: https://www.pokertda.com/forum/index.php?board=12.0 and she welcomes your comments and feedback. Jan is a partner in Card Player Cruises (http://cardplayercruises.com/) where she hosts and directs cruiseline tournaments. She also directs the semi-annual Eureka Open poker tournament at the Eureka Resort and Casino in Mesquite, Nevada. Jan has directed the highly successful PartyPoker.com Million events. Jan has been active in the gaming press and broadcasting for many years. She was editor of the Poker 101 column for Card Player magazine for ten years and currently writes the column “Fishing Around” for Poker Player Newspaper. She was a live studio announcer on the Travel Channel for the Professional Poker Tour and statistician for the World Poker Tour for six seasons. Jan conducts poker seminars and lessons around the country and is an instructor for WPT Boot Camp (http://wptbootcamp.com/). 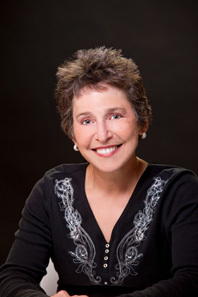 She is a past member of the Board of Directors for the Poker Players Alliance (http://theppa.org/) and remains active in the PPA and their mission. Jan’s experience in all aspects of the poker industry convinced her that an organization was necessary to standardize best practices in tournament management. 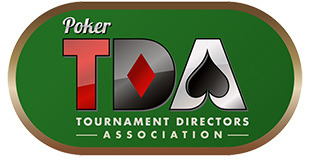 Along with co-founders Matt Savage, Linda Johnson, and Dave Lamb, she founded the Poker Tournament Directors Association in 2001. In June 2009, Jan was honored with induction to the Women in Poker Hall of Fame. In her spare time she enjoys travelling and helping support charitable projects. Jan is a co-founder of Poker Gives where she’s realizing a dream of truly making a difference to so many worthwhile organizations. Follow Jan on Twitter @Jan_Fisher and keep up with her global travels at Card Player Cruises. She looks forward to your comments and feedback.